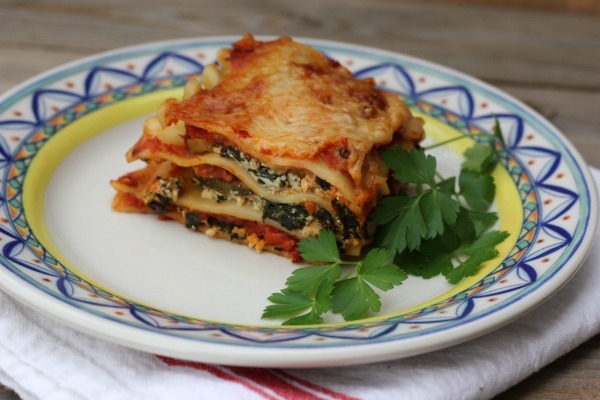 Lasagna is a hearty, comforting meal perfect on a chilly winter evening. all day or evening in the kitchen when there are holiday movies to watch and cookies to bake! 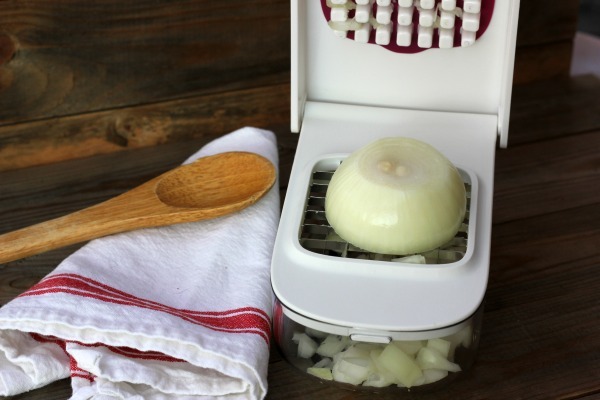 brings outs the flavor and sweetness of vegetables and keeps them crisp and not soggy! 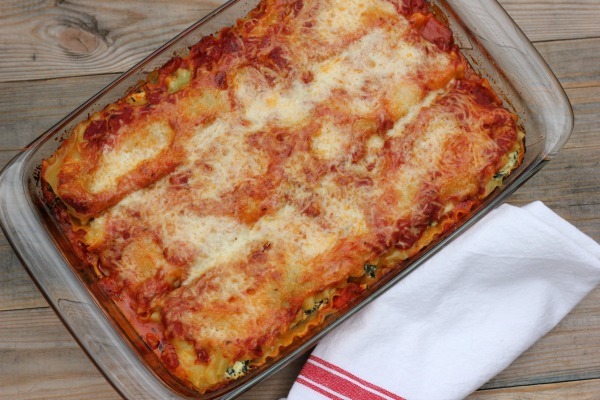 The OXO Glass 3-Quart Bake Dish with Lid is just right for a family size pan of lasagna. leftovers airtight. 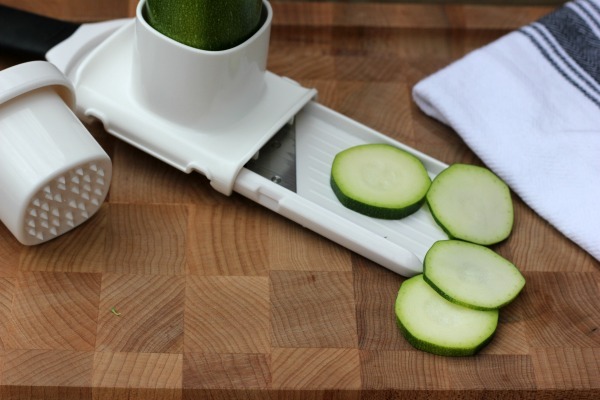 I use this pan all the time! 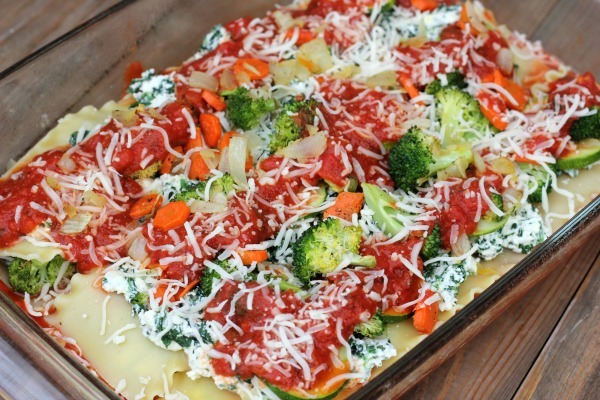 Serve with a side salad and garlic bread for a delicious, hearty meal for the entire family. Then watch Christmas Vacation or your favorite holiday movie! sheet. Drizzle with olive oil and toss to coat. Sprinkle with salt and pepper. 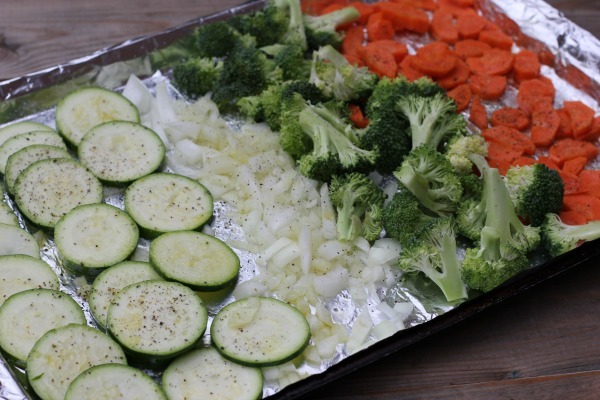 Roast vegetable in the oven for 15 - 20 minutes or until crisp tender. In a medium saucepan, heat spaghetti sauce. In a large mixing bowl, combine ricotta, egg, Italian Seasoning and spinach. Sprinkle with a little salt and pepper. Set aside. Spoon spaghetti sauce into the prepared bake dish, just covering the bottom. sauce, mozzarella cheese and parmesan cheese. 10-15 minutes or until cheese is browned and bubbly. Allow lasagna to rest for 5-10 minutes before slicing.